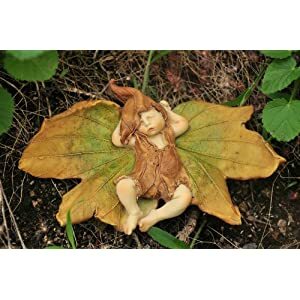 Great for decorating your fairy garden in the spring or summer. 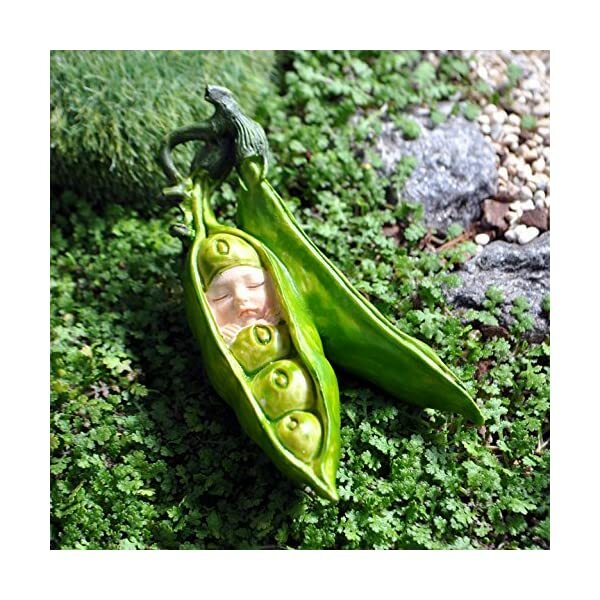 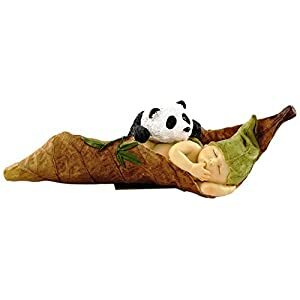 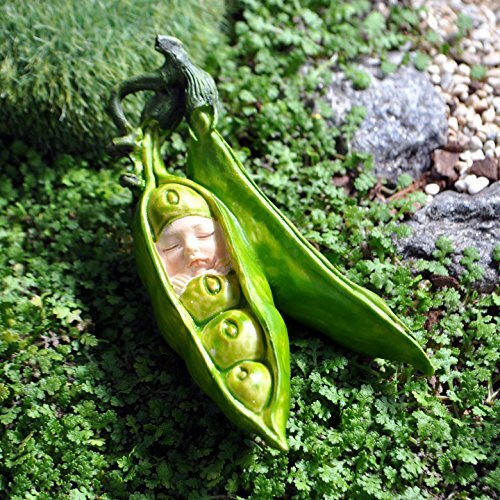 Part of the Georgetown Fiddlehead Fairy garden collection this adorable sleeping fairy baby inside of a pea pod crib makes a great addition to any fairy garden whether you are just starting out or have been collecting for years. 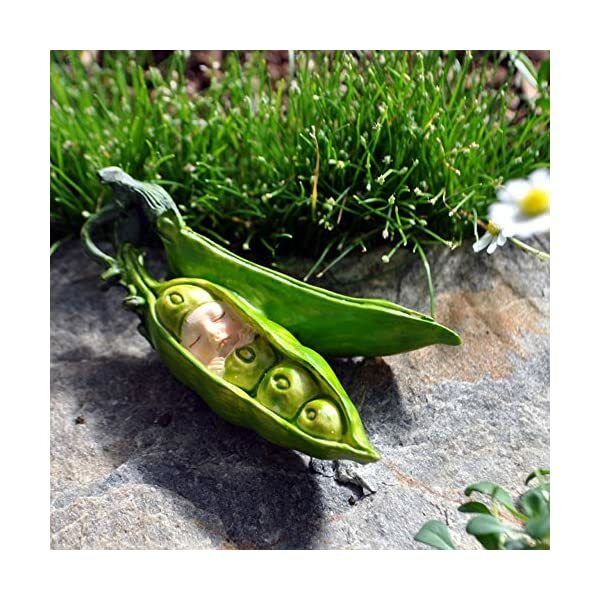 The cute pea pod can be leaned against another part of your garden, or be placed with the back on the ground to give it the appearance of a crib. 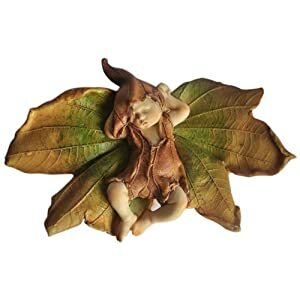 It makes a great decoration for spring and summer and matches well with other plant and garden themed fairy accessories. 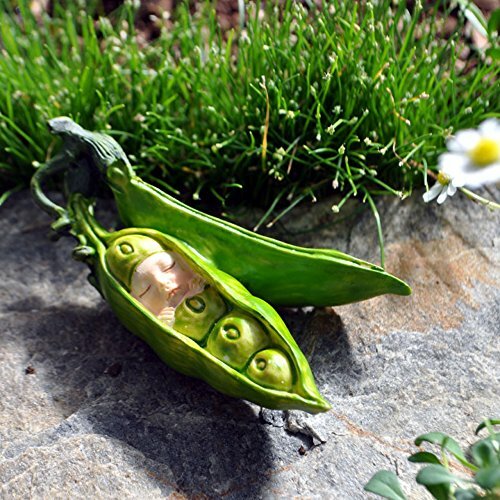 Plant can be laid flat like a crib or leaned against another piece from your fairy garden. 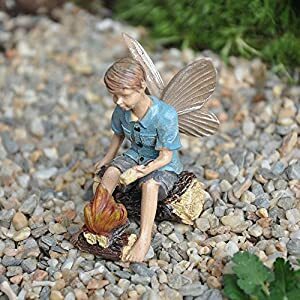 Part of the Fiddlehead Fairy Garden Collection by Georgetown.